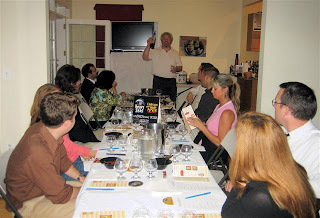 TasteDC conducts many cooking seminars and wine classes. 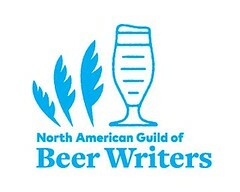 But they have never had a beer class ... until last night. 1) Clipper City: 49th largest craft brewery in the nation. 2) What is beer? How is it produced? 3) The 2 basic styles of beer. 4) What are the flavors of beer? 5) How does one taste beer? Like tasting a wine? 6) Beer and food pairing: is beer the 'new' wine? 7) The born-on date: truth or marketing? 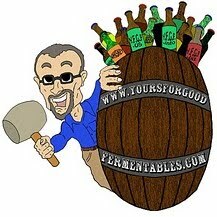 8) Cask Ale: the old becomes new! Artisinal cheeses and gazpacho were served at the outset. A spicy Chicken Vindaloo accompanied the Small Craft Warning Uber Pils. Lemon pound cake topped with strawberries and creme fraiche was serve d with Below Decks Barleywine. I tapped the 9th beer outside on a cool evening, concluding the program. 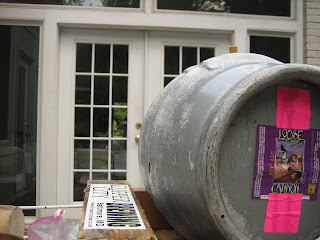 It was pulled from a pin: a small cask, at 5.4 US gallons (4.5 U.K), exactly half the volume of a traditional firkin. The beer, alive inside, was Loose Cannon Hop3 Ale. Nutritional content on beer labels? Good food and good beer at the Nats?? ?